LEGO is 55 years old! January 28.th. 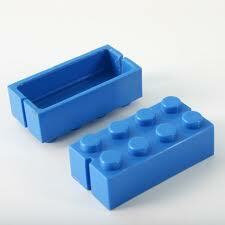 1958, the plastic brick was patented. Now the brick sells 19 billion elements in a year. It continues to be my favorite construction toy, no wonder it success is so massive. As a response to the anniversary, LEGO released 55 LEGO riddles. I have merged the images to one single file for you to enjoy. Can you solve the riddles? Good luck! Love things like this! I’ll give you a hint, the first one is Gulliver’s Travels!